If you’re anything like me, you grew up playing Nintendo and a slew of various Mario games. You either battled opponents on Super Mario Smash Brothers, or you fought to have the highest number of stars on Mario Party, or you raced through the streets of various courses on Mario Kart. I did all three, and then some; however, in my house, it was always a battle between my brother, my sister, and I on who was the fastest racer on Mario Kart. We practiced for hours on end so we could beat the other two and claim the glory of being the speediest in the home. Mario Kart definitely stemmed some friendly competition between us three, and it grew to be a love we all shared throughout our childhood. 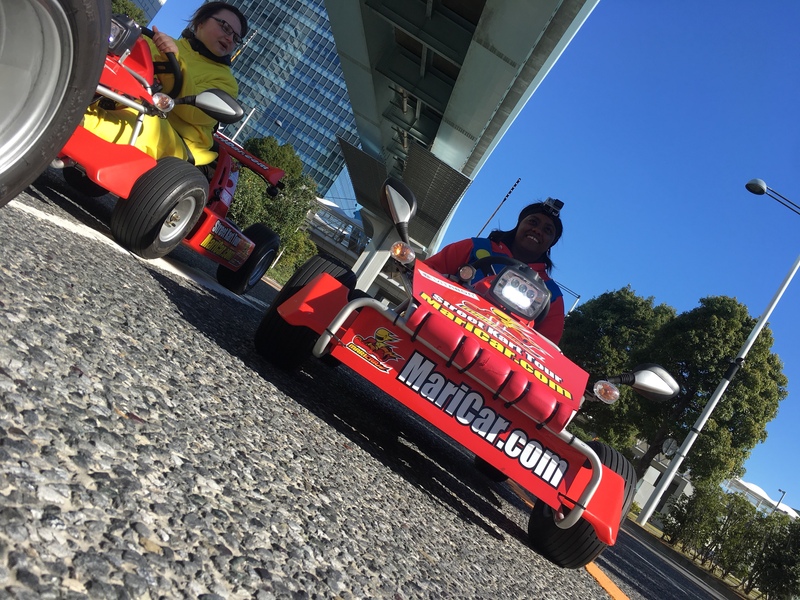 So I’m sure you can imagine my excitement when I found out I could do on a MariCar Tour while in Japan! When do you want to do your tour? 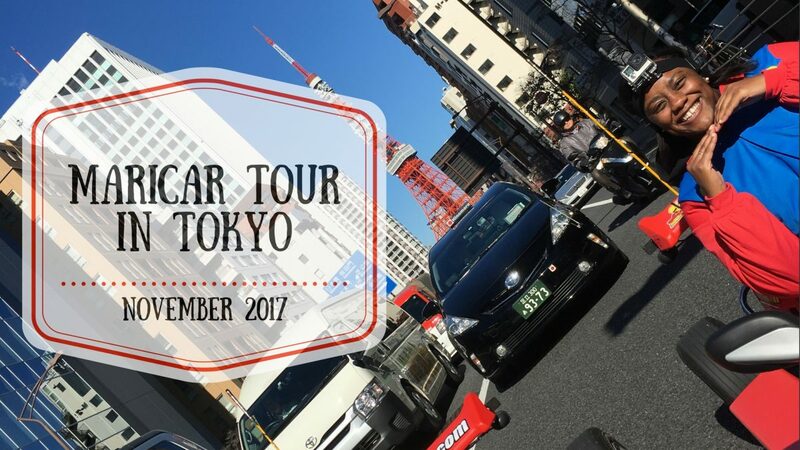 Which shop are you looking to do your tour from [Tokyo, Yokohama, Fuji, Osaka, Okinawa]? How many karts/people in your party? Which country is your license issued? We knew the specific date we were looking to take our tour, so we sent them that, as well as that we wanted to have it in Tokyo. There were originally three people in our party, but we had to change it to two later on, and it was a super easy process. And then we let them know that our licenses were issued from the United States. Tip: You HAVE to get your International Driver’s Permit in order to participate in this tour if you are coming from the United States. I believe you have to for some other countries as well, but I would check the requirements for your specific country to make sure. After we gave them all the required information, they sent a detailed list of the various shops, courses, and prices. Not all shops offer the same course, so make sure to read carefully. We noted the start times, the sights we would see on the tour, and the length of the tour to help narrow down the choices. They offered tours that weren’t too short, but also weren’t too long. We settled for a tour that took about 1.5-2 hours long, and I think that was the perfect length for us. I REALLY wanted to have Rainbow Bridge incorporated into our tour because the hardest course [in my opinion] on Mario Kart, is Rainbow Road, which was named after this bridge! We found the location of the shop with little difficulty, thanks to Google maps and our excitement only continued to build from there. Upon arriving, we were given consent forms to sign. 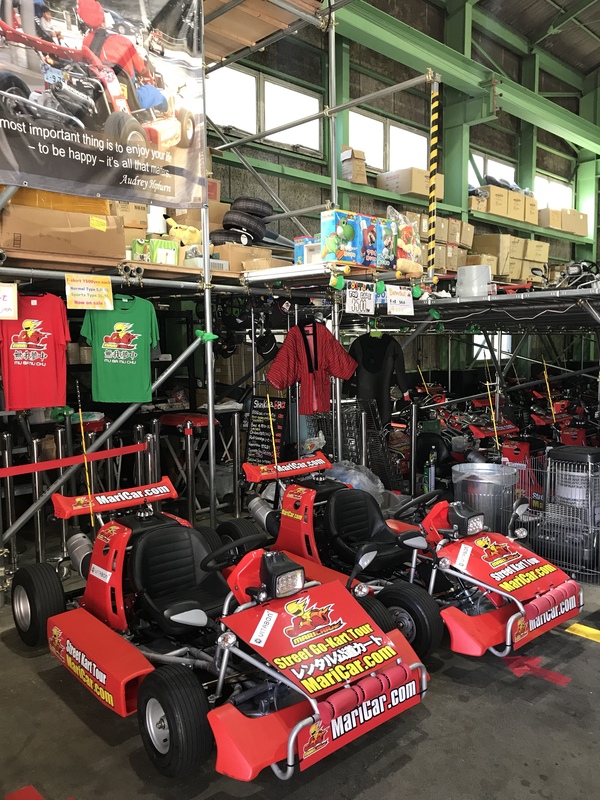 The forms basically remind you to follow the laws of the country, and that the karts are motorized vehicles which can cause damage. It even has some humor thrown in there, stating that on no occasion should banana peels be tossed on the road, and there are no hitting other drivers with red shells. That got a good laugh out of me! Afterwards, we headed upstairs to choose our costumes. They have so many different options! 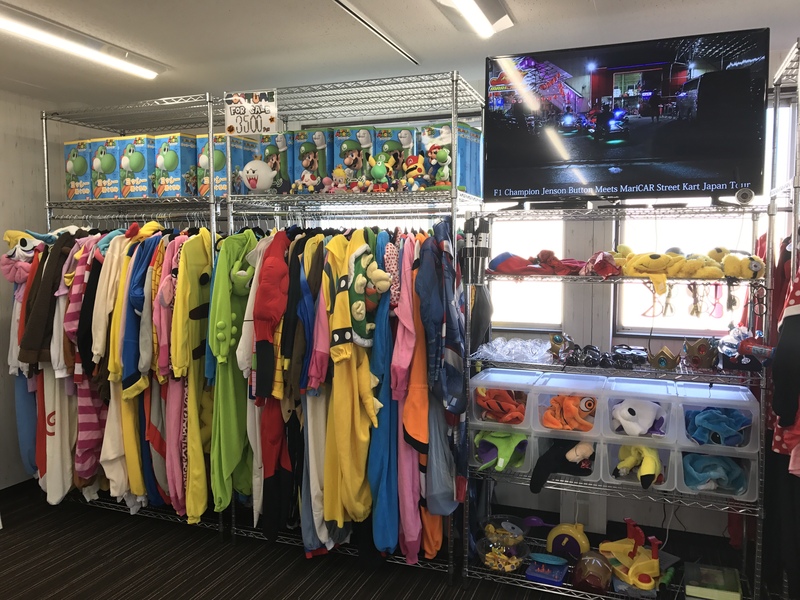 I had previously worried about what happened if someone resulted in choosing the costume I wanted, but it was good to find out they have multiple costumes of the more popular characters. 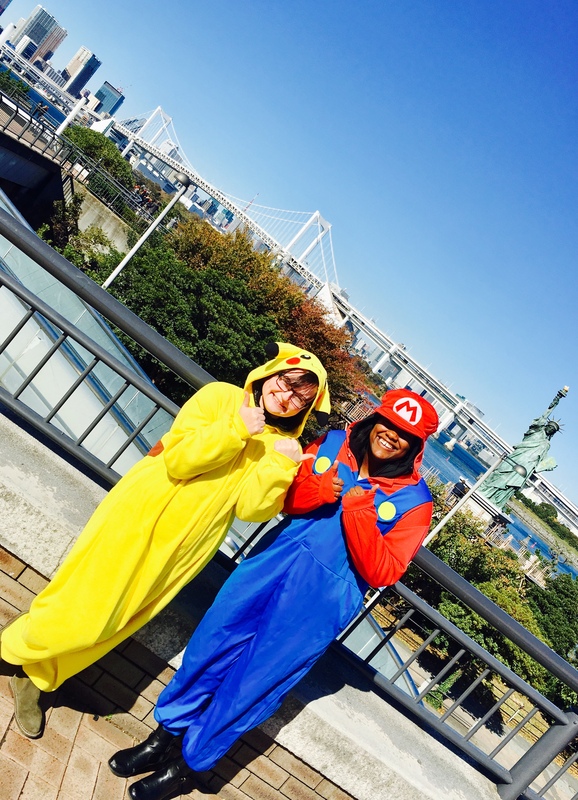 I ended up choosing Mario, and Vika chose Pikachu. 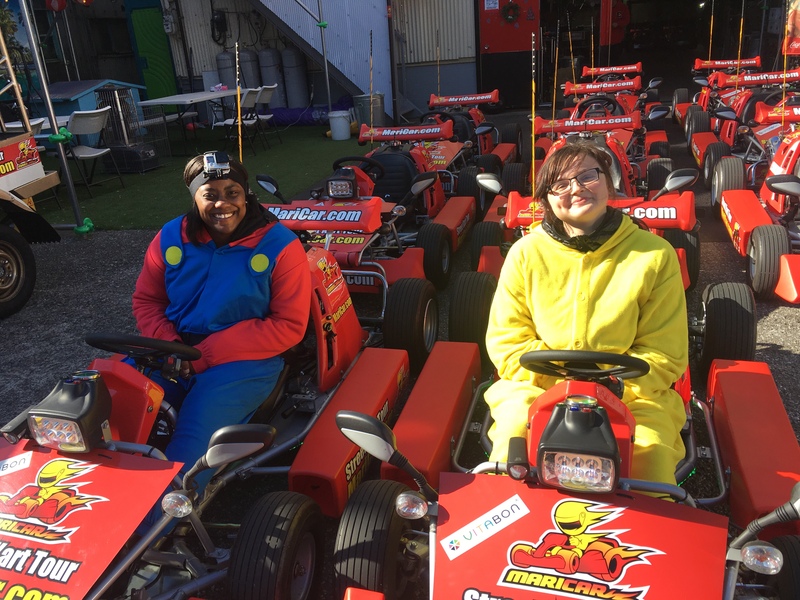 We received a crash course on how to drive the karts. It was pretty straightforward, and then we were ready to hit the road. Our tour guide was Jake, and can you believe that Vika and I got our own private tour? It was awesome! At first it was weird driving, because in Japan they drive on the opposite side compared to the United States. I had no idea before coming to the country that was the case. Also, sometimes the lights were a little confusing, but we just followed Jake and everything was okay. It was so surreal to be driving on the roads and highways among the other cars. No one seemed upset that we were there either, and lots of people waved at us, and some even stopped to take pictures of us! We drove past the Tokyo Tower, and we drove ON the Rainbow Bridge. I didn’t even realize until we were getting off the bridge! Halfway through the tour, we took a break to get out, stretch our legs, and take some pictures. We took our break at Odaiba Beach, which was completely man-made. Jake was telling us, sometimes at night there will be yacht parties out in the middle of the water, and you can hear the music and sounds of partying from the highways and from the shores. It sounds like a good time to me! Near the beach, the site also hosts a Statue of Liberty that stands proud and tall. I would highly recommend doing this tour to anyone and everyone! Vika and I had an absolute blast, and if I ever find myself back in Japan, you can bet I’m booking another tour. I’ll probably do a night tour to see the difference, or hey, maybe I’ll just book two tours that trip. I had that much fun! PS – I know you all saw that GoPro on my head, and you’re wondering where the footage from that is? Well, I unfortunately didn’t tilt it down enough, so most of it was just pointing at the sky. Then when I tried to upload it onto my computer to see if I could salvage any shots, I ended up deleting the whole entire thing! So fair warning – if you plan on using a GoPro [which you can rent at the shop], make sure it’s angled correctly! What do you think about this unique way of touring the city? 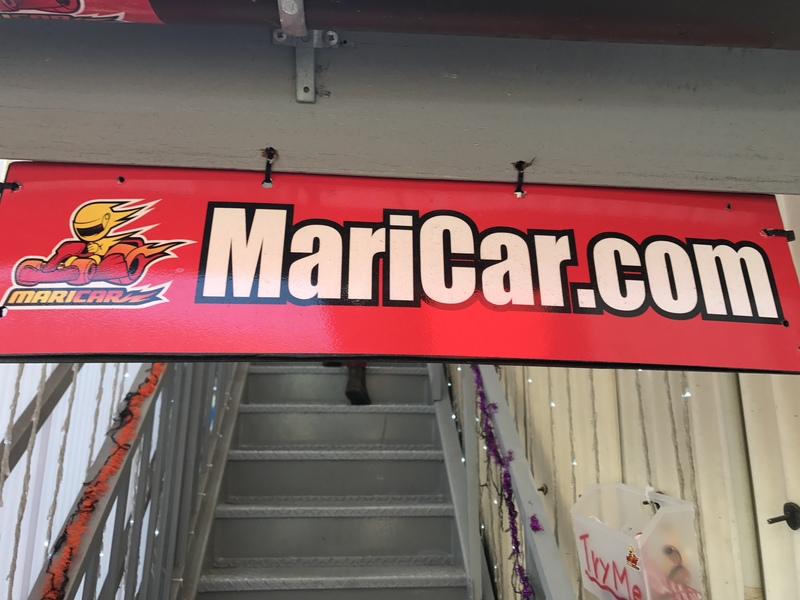 Would you consider booking a tour with MariCar if you travelled to Japan? Let me know in the comments! Wait.. there’s a real life rainbow bridge too?!? Is it actually rainbow? (hopefully not slippery. I always fell off hahaha). This has officially become a bucket list item for me to do!! True story! You have no idea how excited I was when I learned that! And the bridge lights up in rainbow colors at night. It’s awesome! How fun! Not something I ever would have thought to do. It’s definitely a unique way to tour a city! So the international license is what prevented our participation but seeing happy drivers was still a great experience. We knew about the license prior to arriving because a friend informed us so thank you for writing it in the blog so others don’t go without knowing. But now getting to see pictures of the venue inside is awesome. Watching the drivers go by is very entertaining. We recently just had our own Japanese adventures in August and September were doing few posts about it. So reading yours brought back happy feelings. I was in Tokyo this summer. I wish I would have known about this. It looks like a really great time. Oh my gosh, really? Well, next time you head in that direction, you’ll be ready! Ok this looks amazing! I may be going back to Japan soon so I definitely want to try . I seriously hope you check it out if you go back. It was so much fun, and it’s a new and unique way to see the city! This looks and sounds so awesome. I would love to try this out when I visit Japan again. Thanks for sharing. It was so much fun! I hope you’re able to do it when you go back! Yes! It was a blast! 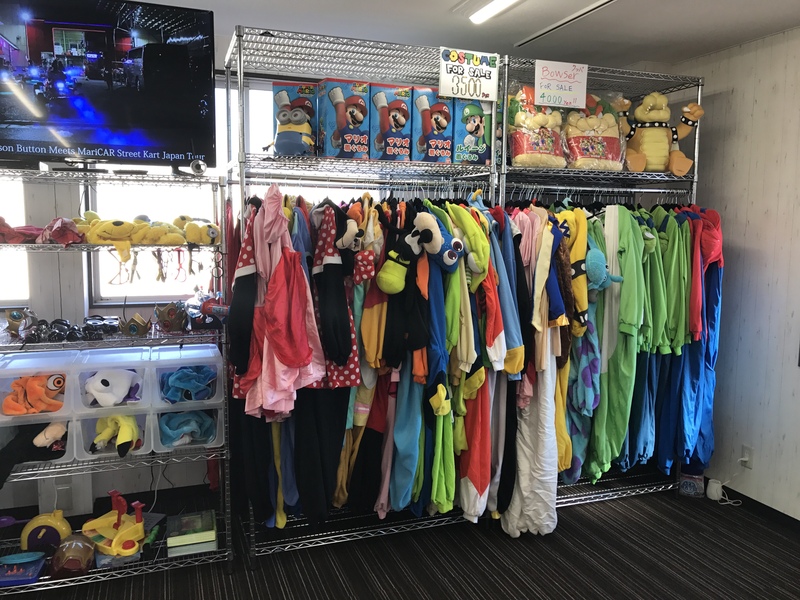 And picking the costume was so much fun – the entire experience was amazing! Great details and I love that you highlighted that you need an international drivers license. 💖 I have heard of people who came to do it and were so disappointed to find out last minute they couldn’t because they didn’t have the necessary license. You got some lovely photos too. I haven’t done it yet, my friend did it last year and she said it was so exhilarating. To be honest, though, I am a fraidy cat in open carts like that – I would be terrified that a truck would drive over me!! Haha! OMG how hilarious!! What a fun thing to do, I’ve never heard of this! Looks like you had a blast. I had so much fun! My teeth got so cold from the wind because I couldn’t stop smiling! I would never have thought to this because of my age, but it does look like a lot of fun. Maybe I can get the family together soon and make this happen. This looks so fun! I think I might be a bit nervous around the full size cars though, lol. At first, it was kind of nerve-racking, but the cars treated you like a normal sized vehicle and lots of people were waving at us. It was pretty cool! Wow! 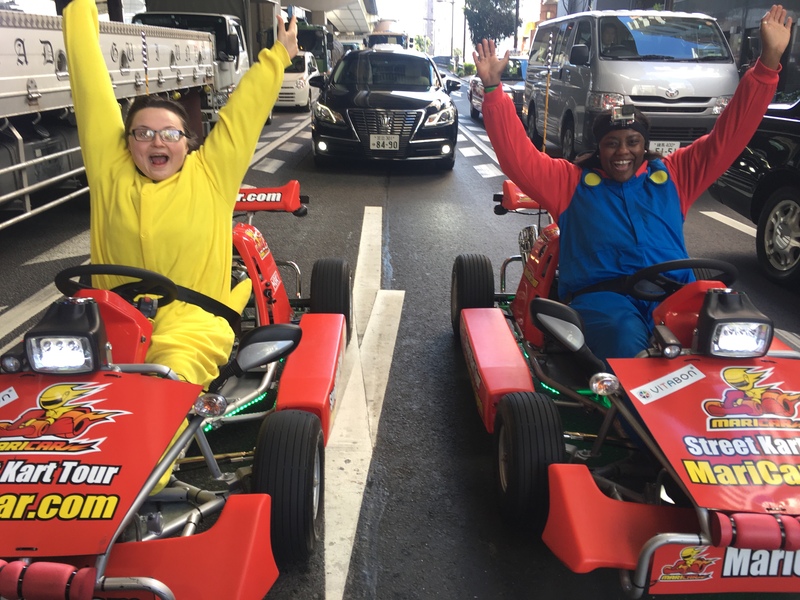 Driving is go-karts on a main road is like real like Mario Kart! I think I may have been a little unsure at first as well. What an awesome experience that must have been! Yeah, it was like a dream come true! Getting on the road with the other cars was a little nerve-racking at first, but after a few minutes, I felt comfortable. It was so much fun! Oh you should totally do that! I think you both would have an absolute blast! This looks like so much fun. My husband would love this. What a fun activity to do in Tokyo. I’d love to hit the streets in that mini cart. Seriously, it was so much fun! I’ll definitely do that! The joke about the banana peel and mushroom caught me off guard! Thanks for the laughter. A pity to hear about the gopro though, but i’ve had similar experiences at times when hiking here, so i have been more careful since! I’m glad it gave you a good laugh … it did the same for me when I was reading over the waivers! They have an awesome sense of humor! And ugh…I know! I was so excited to see the footage, and come to find out, it’s mostly just the beautiful blue sky – then I delete it all before I can see if there’s any I can salvage. Oh well – you live and you learn! Next Next post: Feature Friday: Meet Sage S.